One of the perks of being a writer is that people send you advance reading copies (ARCS) of upcoming books. How much do we love that, people? I’m going to try to be more organized about posting my recommendations here. I read a lot and I read fast, so sometimes things just speed by. Lisa Tucker is a good fairy. She was nice enough to have her publisher send me an ARC (advance reading copy) when she saw that her upcoming novel was on my wish list. Would that all wishes were so easily granted! Her other books possess dark fairytale quality I find mesmerizing, and The Promised World has it in spades. 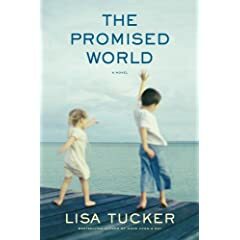 Lisa Tucker writes with compassion and sensitivity about the fine balance between sanity and madness, the cost of secrets and lies, and the redemptive quality of love. This novel is also a first class page turner, with a twisty and absorbing plot that will keep you up all night. Major thumbs up! Lisa Tucker is a good fairy. She was nice enough to have her publisher send me an ARC when she saw that her upcoming novel was on my wish list. Would that all wishes were so easily granted! Her other books possess dark fairytale quality I find mesmerizing, and The Promised World has it in spades. Lisa Tucker writes with compassion and sensitivity about the fine balance between sanity and madness, the cost of secrets and lies, and the redemptive quality of love. This novel is also a first class page turner, with a twisty and absorbing plot that will keep you up all night. Major thumbs up! 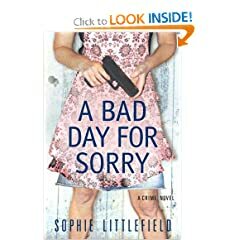 A Bad Day for Sorry by Sophie Littlefield. Okay, can we talk about titles here? And cover art? I would have bought this book based on the front cover alone. Totally irresistible. But the real story is between the covers. A smart-alecky narrator with the kind of attitude we all wish we had, Stella Hardesty is a woman on a mission. She’s a survivor of domestic abuse and the proprietor of a small-town sewing machine shop. Her mission–to help other women escape and avenge the violence done to them. It’s filled with danger, humor, suspense and a romance with a boyfriend named Goat. Trust me, you’ll love this one. …because you’re an a–hole, that’s why. At my book club, things always go better with food. Amateur critics may disagree; politics has been known to trump the chosen title as the matter under discussion. But a good dinner or a sublime dessert grounds the clash of ideas in the comfort of animal appetites. A new local cookbook combines the world of food and books: “Literary Feast: The Famous Authors Cookbook” has just been issued by the King County Library System Foundation. Compiled and edited by Terry J. LaBrue, with a foreword by local chef/author Greg Atkinson, this compendium may ease your way as you contemplate what to serve for your next literary gathering. Though the book largely focuses on Northwest authors, it includes some A-list national writers and their recipes: Arthur Agatston, M.D. (Mr. South Beach Diet); the mystery-writing spousal unit Faye and Jonathan Kellerman. Jacquelyn Mitchard! Alice Waters! Alexander McCall Smith’s recipe for Mma Potokwani’s Fruit Cake! Contributions by area authors seem to fall into two categories: complicated and simple. This feeds my theory that authors, like other creative types, either throw themselves into cooking (if they love it) or consider it time wasted (if they don’t). In the “complicated” category falls science-fiction author Greg Bear’s recipe for Chicken Mole Poblano, which actually appears to be his wife Astrid Bear’s creation. Bear describes this dish as “mouthwatering” and says he and his spouse serve it each year at their home to celebrate the annual Clarion West workshop for budding science-fiction writers. Also complicated is Seattle author Garth Stein’s recipe for Clams with Sausage, Beans and Pasta, which makes sense, since Stein managed to craft a best-seller with a dog as a narrator (“The Art of Racing in the Rain”). But the most useful recipes may be the simplest, the ones in which writers create fuel to keep on writing. Kit Bakke, author of “Miss Alcott’s E-Mail,” contributes Real Graham Crackers, because Louisa May Alcott’s family probably ate them. Children’s author Brenda Z. Guiberson’s recipe for “Writer’s Almost Nonstop Soup” is what it says — a nourishing soup, always on the stove, so you can keep on writing. “Literary Feast: The Famous Authors Cookbook” can be ordered at www.thriftbooks.com; you can find it at bookstores later this summer. 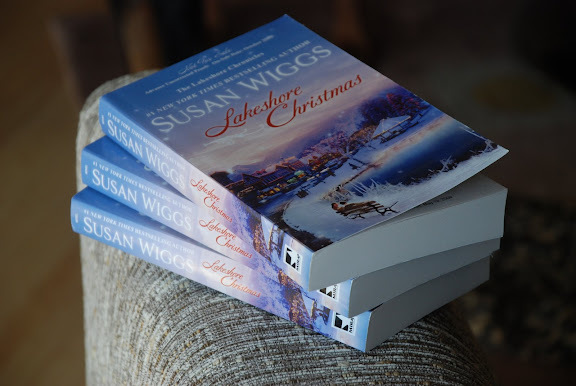 Proceeds go to local literacy and lifelong-learning programs. 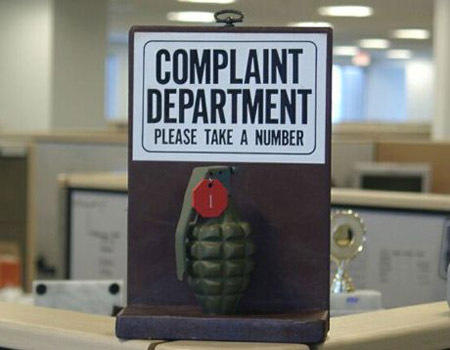 Copyright © 2009 The Seattle Times Company. Permission to reprint or copy this article or photo, other than personal use, must be obtained from The Seattle Times. Call 206-464-3113 or e-mailresale@seattletimes.com with your request. My contribution–inexplicably not mentioned in the otherwise-terrific review–originated right here on this blog—Rosemary Olive Oil Cake. I’m thinking it falls in the “simple” category. It’s fabulous. I just had a note from my friend Stephanie, who adapted it for Weight Watchers. What about you? Do you like to cook “simple” or “complicated”? Post links to your fave recipes below!